Tinder used to be simple – you just had to look at a few photos, swipe left if you didn't like what you saw and swipe right if you wanted to have a chat, or more. 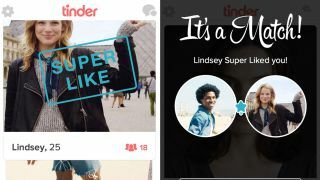 That's no longer the case though - Tinder has expanded with Instagram integration, Super Likes and now there's an even further extended personal profile. The new update brings with it a new messaging interface that means the people you haven't spoken to - but are waiting in your match list - appear higher so you won't go missing out on a potential conversation. There are also a load of behind the scenes tweaks to the algorithm that means the matches you're seeing should be more compatible with your interests in the future. Some people used to add their job title into the bio if they thought it'd be interesting to potential matches – it seems an odd decision to include your education though. Tinder is looking more and more like Facebook everyday.